Click here to see current Volunteer Opportunities! The secret to the success of La Crosse County 4-H’s Youth Development Program is its volunteers – youth or adult, we couldn’t do it without you! All that’s needed to become a 4-H volunteer is an interest in 4-H, a passion to learn more about 4-H, and dedication to our 4-H youth. All 4-H adult volunteers must complete the following requirements as dictated by the State of Wisconsin in regards to working with UW-Extension youth. If a volunteer does not complete these requirements, they will not be allowed to chaperone, work with, or lead 4-H youth on any event or program. This is for the safety and security of our youth and leaders. Please note that these requirements are likely to change from year to year based on the State of Wisconsin’s ever-changing laws and mandates, so check back often or give us a call to make sure you are up to date with your volunteer status! It is the job of UW-Extension 4-H staff to make your experience as a volunteer a pleasant and rewarding one, as well as provide you with the resources you need to help shape our youth into well-rounded and independent thinkers. Part of creating your 4HOnline profile will require you to submit to a background check conducted by the State of Wisconsin. Within 15 days of creating your 4HOnline profile, you will receive an email from the GIS system asking you to confirm your background check by entering in your personal information. It’s very important you keep an eye on your junk and spam folders during this time period as the email often gets sent there. You have only 5 days to respond to the GIS email upon receiving it. V.I.P. Training stand for Volunteers in Preparation Training. This training is held at the UW-Extension office several times throughout the year. It is a one-time, face to face training that lasts about an hour and is given in a presentation format. You only have to complete this training one-time, not every year. The next V.I.P. Training will be offered on Monday, May 6th at 7:30 p.m. RSVP is appreciated. This training is taken through your 4HOnline profile. It is a self-guided, media module that talks about the importance of reporting signs of abuse while working with youth. This training usually takes people about an hour, but it does not have to be completed in one sitting. It will save your spot for you to come back and finish later. The UW-Extension office will automatically get notified once you complete this training. Directions on how to complete this training are below. 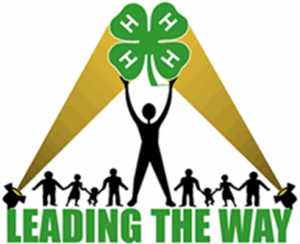 Please visit the Youth Leadership page to learn more about how youth can serve La Crosse County 4-H. The La Crosse County Agricultural Society is currently looking for clerks and helpers for the 2019 La Crosse Interstate Fair on July 17th-21st, 2019. To sign up for a shift, go to SignUpGenius.com and click “Find a Signup” in the bottom right-hand corner of the page. Enter “carlie.scriver@yahoo.com” for the creator’s email. Please contact Carlie with any questions at 608-317-9168 or carlie.scriver@yahoo.com. The West Salem 4-H Club, Salem Seekers, is looking for a new club leader to take over beginning in September 2019. If you or someone you know may be interested in serving in this role, please contact the La Crosse County UW-Extension office at 608-785-9593 or LaCrosseCounty4H@lacrossecounty.org.